The Hanafi school is one of the four religious Sunni Islamic schools of jurisprudence (fiqh). It is named after the scholar Abū Ḥanīfa an-Nu‘man ibn Thābit, a tabi‘i whose legal views were preserved primarily by his two most important disciples, Abu Yusuf and Muhammad al-Shaybani. 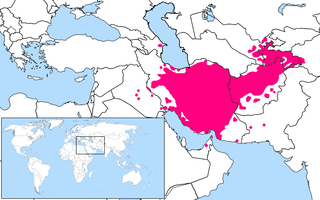 The other major schools of Sharia in Sunni Islam are Maliki, Shafi`i and Hanbali. The Deobandi movement developed as a reaction to the British colonialism which was seen by a group of Indian scholars — consisting of Rashid Ahmad Gangohi, Muhammad Yaqub Nanautawi, Shah Rafi al-Din, Sayyid Muhammad Abid, Zulfiqar Ali, Fadhl al-Rahman Usmani and Muhammad Qasim Nanotvi — to be corrupting Islam. The group founded an Islamic seminary known as Darul Uloom Deoband,  where the Islamic revivalist and anti-imperialist ideology of the Deobandis began to develop. In time, the Darul Uloom Deoband became the second largest focal point of Islamic teaching and research after the Al-Azhar University, Cairo. Through the organisations such as Jamiat Ulema-e-Hind and Tablighi Jamaat, the Deobandi ideology began to spread. Rashīd Aḥmad ibn Hidāyat Aḥmad Ayyūbī Anṣārī Gangohī was an Indian Deobandi Islamic scholar, a leading figure of the Deobandi movement, a Hanafi jurist and scholar of hadith. Muhammad Yaqub Nanautawi (1833–1884) - alternately, Nanotvi - was an Indian Islamic scholar, and one of the earliest teachers of Islamic Madrassa in Deoband, famously called Darul Uloom Deoband in India. The Darul Uloom Deoband is the Darul uloom Islamic school in India where the Sunni Deobandi Islamic movement began. It is located at Deoband, a town in Saharanpur district, Uttar Pradesh. The school was founded in 1866 by the ulema. Jamiat Ulema-e-Hind or Jamiat Ulama-I-Hind is one of the leading organisations of Islamic scholars belonging to the Deobandi school of thought in India. It was founded in 1919 by a group of Deobandi scholars. Mufti Kifayatullah was elected the first president of the organization. Islam is the second-largest religion in India, with 14.2% of the country's population or 201 million people identifying as adherents of Islam. It makes India the country with the largest Muslim population outside Muslim-majority countries. The majority of Indian Muslims belong to the Sunni sect of Islam. The religion first arrived at the western coast of India when Arab traders as early as the 7th century CE came to coastal Malabar and Konkan-Gujarat. Cheraman Juma Mosque in Kerala is thought to be the first mosque in India, built in 629 CE by Malik Deenar. Following an expedition by the governor of Bahrain to Bharuch in the 7th century CE, immigrant Arab and Persian trading communities from South Arabia and the Persian Gulf began settling in coastal Gujarat. Ismaili Shia Islam was introduced to Gujarat in the second half of the 11th century, when Fatimid Imam Al-Mustansir Billah sent missionaries to Gujarat in 467 AH/1073 CE. Islam arrived in North India in the 12th century via the Turkic invasions and has since become a part of India's religious and cultural heritage. Over the centuries, there has been significant integration of Hindu and Muslim cultures across India and Muslims have played a notable role in economics, politics, and culture of India. Barelvi is a movement following the Sunni Hanafi school of jurisprudence, with over 200 million followers in South Asia. The name derives from the north Indian town of Bareilly, the hometown of its founder and main leader Ahmed Raza Khan (1856–1921). Although Barelvi is the commonly used term in the media and academia, the followers of the movement often prefer to be known by the title of Ahle Sunnat wa Jama'at, or as Sunnis, a reference to their perception as forming an international majority movement. Ahl-i Hadith or Ahl-e-Hadith is a religious movement that emerged in Northern India in the mid-nineteenth century from the teachings of Syed Nazeer Husain and Siddiq Hasan Khan. Adherents of Ahl-i Hadith profess to hold the same views as the early Ahl al-Hadith movement. They regard the Quran, sunnah, and hadith as the sole sources of religious authority and oppose everything introduced in Islam after the earliest times. In particular, they reject taqlid and favor ijtihad based on the scriptures. Ahl al-Hadith was an Islamic school of thought that first emerged during the 2nd/3rd Islamic centuries of the Islamic era as a movement of hadith scholars who considered the Quran and authentic hadith to be the only authority in matters of law and creed. Its adherents have also been referred to as traditionalists and sometimes traditionists. The Deobandi movement sees itself as a scholastic tradition, situated within Sunni Islam. It grew out of the Islamic scholastic tradition of Medieval Transoxania and Mughal India, and it considers its visionary forefather to be Shah Waliullah Dehlawi (1703-1762), the celebrated Indian Islamic scholar. In response to this need to defend their madhhab in the light of scripture, Deobandis became particularly distinguished for their unprecedented salience to the study of Hadith in their madrasas. Their madrasa curriculum incorporates a feature unique among the global arena of Islamic scholarship, the Daura-e Hadis, the capstone year of a student's advanced madrasa training, in which all six canonical collections of the Sunni Hadith (the Sihah Sittah) are reviewed. In a Deobandi madrasa, the position of Shaykh al-Hadith, or the resident professor of Sahih Bukhari, is held in much reverence. Jamiat Ulema-e-Islam (JUI) is a Deobandi organization, part of the Deobandi movement. The JUI formed when members broke from the Jamiat Ulema-e-Hind in 1945 after that organization backed the Indian National Congress against the Muslim League's lobby for a separate Pakistan. The first president of the JUI was Shabbir Ahmad Usmani. Majlis-e-Ahrar-e-Islam (Urdu : مجلس احرارلأسلام‎), also known in short as Ahrar, was a conservative Deobandi political party in the Indian subcontinent during the British Raj (prior to the independence of Pakistan) founded December 29, 1929 at Lahore. Chaudhry Afzal Haq, Syed Ata Ullah Shah Bukhari, Habib-ur-Rehman Ludhianvi, Mazhar Ali Azhar, Zafar Ali Khan and Dawood Ghaznavi were the founders of the party. The Ahrar was composed of Indian Muslims disillusioned by the Khilafat Movement, which cleaved closer to the Congress Party. [ page needed ] The party was associated with opposition to Muhammad Ali Jinnah and establishment of an independent Pakistan as well as Criticism of the Kadiani Community. After the independence of Pakistan in 1947, Majlis-e-Ahrar divided in two parts. Now, Majlis-e-Ahrar-e-Islam is working for the sake of Muhammad[ vague ], nifaaz Hakomat-e-illahiyya and Khidmat-e-Khalq. In Pakistan, Ahrar secretariat is in Lahore and in India it is based in Ludhiana. Fuzail Ahmad Nasiri, India - contemporary Urdu poet and writer. Jamia Darul Uloom Karachi is an Islamic seminary in Karachi, Pakistan. It continues the tradition of the Darul uloom system initiated by Darul Uloom Deoband. Muhammad Ashraf 'Ali Thanawi – July 4, 1943 [17 Rajab 1362 AH]) was an Indian Sunni Islamic scholar. Darul Uloom Nadwatul Ulama is an Islamic institution at Lucknow, India, which draws large number of Muslim students from all over the world. Nadwatul Ulama fosters a diverse range of both scholars and students including Hanafis, Shafi'is and Ahl al-Hadith. Additionally it is one of very few institutes in the region to teach the Islamic Sciences completely in Arabic. Sayyid Hussain Ahmed Madani was an Islamic scholar from the Indian subcontinent. His followers called him Shaykh al-Islām, Shaykh Ul Arab Wal Ajam to acknowledge his expertise in hadith and fiqh. He was among the first recipients of the civilian honour of Padma Bhushan in 1954. According to The Nation newspaper, "Deoband dignitaries started their struggle against the imperial subjugation of the Indo-Pak subcontinent at a time when nobody dared to utter a word against the British rule." Mahmud al-Hasan (Maḥmūdu'l-Ḥasan) also known as Mahmud Hasan was a Deobandi Sunni Muslim scholar who was active against British rule in India. For his efforts and scholarship he was given the title "Shaykh al-Hind" by the Central Khilafat Committee. Shabbir Ahmad Usmani was an Islamic scholar who supported the Pakistan Movement in the 1940s. He was a theologian, writer, orator, politician, and expert in tafsir and Hadith. Muḥammad Shafī‘ ibn Muḥammad Yāsīn ‘Us̱mānī Deobandī, often referred to as Mufti Muhammad Shafi, was a Pakistani Sunni Islamic scholar of the Deobandi school of Islamic thought. A Hanafi jurist and mufti, he was also an authority on shari'ah, hadith, tafsir, and tasawwuf (Sufism). Born in Deoband, British India, he graduated in 1917 from Darul Uloom Deoband, where he later taught hadith and held the post of Chief Mufti. He resigned from the school in 1943 to devote his time to the Pakistan Movement. After the independence he moved to Pakistan, where he established Darul Uloom Karachi in 1951. Of his written works, his best-known is Ma'ariful Qur'an, a tafsir of the Qur'an. Jamia Mazahir Uloom Saharanpur is an old madrasa established in Saharanpur city of Uttar Pradesh, India. The Jamiah was founded in November 1866 just six months after Darul Uloom Deoband was founded in May 1866. Muḥammad Idrīs ibn Muḥammad Ismā‘īl Ṣiddīqī Kāndhlawī was a Deobandi Islamic scholar particularly known as a scholar of hadith and tafsir. He held the post of Shaykh at-Tafsir at Darul Uloom Deoband in India and later migrated to Pakistan where he served as Shaykh al-Hadith wat-Tafsir at Jamia Ashrafia Lahore. Notable among his written works are Ma'ariful Qur'an, a tafsir of the Qur'an, Siratul Mustafa, a sirah (biography) of the Islamic prophet Muhammad, and at-Ta'liq as-Sabih, an Arabic sharh (commentary) on the hadith collection Mishkat al-Masabih. A graduate of both Mazahir Uloom Saharanpur and Darul Uloom Deoband, he studied under scholars including Khalil Ahmad Saharanpuri, Anwar Shah Kashmiri, and Shabbir Ahmad Usmani. Muhammad Mian Mansoor Ansari, was a leader and a political activist of the Indian independence movement. Majid Ali[ ماجد علی:Urdu] was a resident of Jaunpur. He was a Hadith scholar. He was considered as a great rationalist divine of his time. It is said that he wrote marginalia to Abu Dawud and Tirmidhi. ↑ "India". Darul Uloom Deoband. Retrieved 29 April 2013. ↑ Muslim Schools and Education in Europe and South Africa. Waxmann. 2011. pp. 85ff. Retrieved 29 April 2013. ↑ Lewis, B.; Pellat, Ch. ; Schacht, J. (1991) [1st. pub. 1965]. Encyclopaedia of Islam (New Edition). Volume I (C-G). Leiden, Netherlands: Brill. p. 205. ISBN 9004070265. ↑ Asthana, N.C.; Nirmal, Anjali. Urban Terrorism: Myths and Realities. Shashi Jain for Pointer Publishers. p. 66. Retrieved 29 April 2013. ↑ Brannon Ingram (University of North Carolina), Sufis, Scholars and Scapegoats: Rashid Ahmad Gangohi and the Deobandi Critique of Sufism, p 478. 1 2 3 Ali, Asghar (9 April 2011). "Islamic identity in secular India". The Milli Gazette. The Ulama of Deoband opposed partition and stood by united nationalism. Maulana Husain Ahmad Madani, then chief of Jami’at-ul-Ulama-i-Hind, wrote a tract Muttahida Qaumiyyat aur Islam i.e., the Composite Nationalism and Islam justifying composite nationalism in the light of Qur’an and hadith and opposing Muslim League’s separate nationalism. While the educated elite were aspiring for power and hence wanted their exclusive domain; the Ulama’s priority was an independent India where they could practice Islam without fear or hindrance. 1 2 3 Abbas, Tahir (March 1, 2011). Islamic Radicalism and Multicultural Politics: The British Experience. Taylor & Francis. ISBN 1136959602 . Retrieved 14 December 2015. ↑ M. J. Gohari. The Taliban: Ascent to Power. Oxford University Press. p. 30. ISBN 0-19-579560-1. ↑ Sharma, Sudhindra (2006). "Lived Islam in Nepal". In Ahmad, Imtiaz; Reifeld, Helmut. Lived Islam in South Asia: Adaptation, Accommodation, and Conflict. Berghahn Books. p. 114. ISBN 81-87358-15-7. ↑ N. C. Asthana; Anjali Nirmal (2009). Urban Terrorism: Myths and Realities. Jaipur: Aavishkar Publishers. pp. 66–67. ISBN 978-81-7132-598-6. ↑ John Pike. "Barelvi Islam". Globalsecurity.org. Retrieved 29 April 2013. 1 2 Sareen, Sushant (2005). The Jihad Factory: Pakistan's Islamic Revolution in the Making. New Delhi: Har Anand Publications. p. 282. ↑ Valentine, Simon (9 January 2015). Force and Fanaticism: Wahhabism in Saudi Arabia and Beyond. Oxford University Press. p. 248. Retrieved 30 June 2018. ↑ Norfolk, Andrew (7 September 2007). "Hardline takeover of British Masjid". The Times . ↑ Bowen, Innes (14 June 2014). "Who runs our mosques?". The Spectator . 1 2 Spevack, Aaron (2014). The Archetypal Sunni Scholar: Law, Theology, and Mysticism in the Synthesis of Al-Bajuri. State University of New York Press. p. 49. ISBN 978-1-4384-5370-5. ↑ Metcalf, Barabara. "Traditionalist" Islamic Activism: Deoband, Tablighis, and Talibs. "These orientations --"Deobandi," "Barelvi" or "Ahl-i Hadith" -- would come to define sectarian divisions among Sunni Muslims of South Asian background to the present." ↑ Metcalf, Barbara Daly (2002). Islamic revival in British India : Deoband, 1860-1900 (3rd impression. ed.). New Delhi: Oxford Univ. Press. p. 141. ISBN 0-19-566049-8. ↑ Khan, Fareeha (2008). Traditionalist Approaches to Shari'ah Reform: Mawlana Ashraf 'Ali Thanawi's Fatwa on Women's Right to Divorce(Doctoral Dissertation -- University of Michigan)|format= requires |url= (help). p. 59. Polemicists from among the Ahl-i Hadith were especially being targeted in Thanawi's explanation, since they accused those who adhered to the rulings of one scholar or legal school of "blind imitation." It was the practice of the Ahl-i Hadith to demand and provide proofs for every argument and legal ruling. ↑ David Emmanuel Singh, Islamization in Modern South Asia: Deobandi Reform and the Gujjar Response, p 167. 1 2 ibnummabd on February 19, 2009 at 6:04 pm (19 February 2009). "About". Deoband.org. Archived from the original on 21 September 2013. Retrieved 29 April 2013. ↑ Fatawa Rahimiyyah (Eng. Trans. ), vol.1, p.58. ↑ "Why did the Pak Maulana visit Deoband". Rediff India Abroad. July 18, 2003. Retrieved 19 May 2012. ↑ Rashid, Haroon (2002-11-06). "Profile: Maulana Fazlur Rahman". BBC News. Retrieved 5 May 2010. ↑ John Pike. "Jamiat Ulema-e-Islam / Assembly of Islamic Clergy". Globalsecurity.org. Retrieved 11 December 2013. ↑ Bahadur, Kalim (1998). Democracy in Pakistan: crises and conflicts. Har Anand Publications. p. 176. ↑ Burton, Fred; Stewart, Scott. "Tablighi Jamaat: An Indirect Line to Terrorism". Stratfor. Retrieved 1 September 2011. ↑ Roul, Animesh (2 June 2005). "Lashkar-e-Jhangvi: Sectarian Violence in Pakistan and Ties to International Terrorism". Terrorism Monitor. Jamestown Foundation. 3 (11). Archived from the original on 3 September 2014. Retrieved 27 July 2010. ↑ "Pakistani group joins US terror list". BBC News South Asia. 30 January 2003. Retrieved 30 January 2003. ↑ Ahmad, Tufail (21 March 2012). "Using Twitter, YouTube, Facebook and Other Internet Tools, Pakistani Terrorist Group Lashkar-e-Jhangvi Incites Violence against Shi'ite Muslims and Engenders Antisemitism". The Middle East Media Research Insititue, memri.org. Retrieved 22 March 2012. ↑ "Pakistani Shi'ites call off protests after Quetta bombing arrests". Reuters. 19 February 2013. ↑ "Pakistan Shias killed in Gilgit sectarian attack". BBC News. 16 August 2012. Retrieved 11 December 2012. A predominantly Punjabi group, Lashkar-e-Jhangvi is linked with the 2002 murder of US reporter Daniel Pearl and other militant attacks, particularly in the southern city of Karachi. ↑ "Iran condemns terrorist attacks in Pakistan". Tehran Times. 17 February 2013. Archived from the original on 4 September 2014. Retrieved 18 February 2013. ↑ "Analysis: Who are the Taleban?". BBC News. 2000-12-20. ↑ Skain, Rosemarie (2002). The women of Afghanistan under the Taliban. McFarland. p. 41. ISBN 978-0-7864-1090-3. ↑ Maley, William (2001). Fundamentalism Reborn? Afghanistan and the Taliban. C Hurst & Co. p. 14. ISBN 978-1-85065-360-8. ↑ James Gerstenzan; Lisa Getter (November 18, 2001). "Laura Bush Addresses State of Afghan Women". Los Angeles Times . Retrieved 14 September 2012. ↑ "Women's Rights in the Taliban and Post-Taliban Eras". A Woman Among Warlords. PBS. September 11, 2007. Retrieved 14 September 2012. 1 2 Bajoria, Jayshree (6 February 2008). "Pakistan's New Generation of Terrorists". Council on Foreign Relations. Archived from the original on 14 May 2009. Retrieved 30 March 2009. 1 2 Abbas, Hassan (January 2008). "A Profile of Tehrik-I-Taliban Pakistan" (PDF). CTC Sentinel. West Point, NY: Combating Terrorism Center. 1 (2): 1–4. Retrieved 8 November 2008. ↑ Shane, Scott (2009-10-22). "Insurgents Share a Name, but Pursue Different Goals". The New York Times. Retrieved 26 January 2011. ↑ "2009: Southern Punjab extremism battle between haves and have-nots". Dawn.com. Dawn Media Group. 2011-05-22. Retrieved 25 May 2011. ↑ Mahmood, Hamid (2012). The Dars-e-Nizami and the Transnational Traditionalist Madaris in Britain (PDF). pp. 7, 17. Retrieved 9 November 2013. In the UK the Dār al-‘Ulūm al-‘Arabiyyah al-Islāmiyyah (Bury madrasa) and Jāmi’at ta’līm al-Islām (Dewsbury madrasa) are considered the ‘Oxbridge’ of the traditional madrasa world....The need for leadership and imams increased alongside the increasing number of Mosques and in 1975 the first madrasa was established in a village called Holcombe situated near Bury – known as Dār al-‘Ulūm Bury or Bury Madrasa. ↑ "Home". Jamemasjid.co.uk. Retrieved 2014-03-12. ↑ "Home". Jameah.co.uk. Retrieved 2014-03-12. ↑ Mohamed, Yasien (2002). "Islamic Education in South Africa" (PDF). ISIM Newsletter. 9: 30. Retrieved 11 December 2013. opportunities for studies were created locally when in 1971 the first Darul-Ulum was established in Newcastle, Kwazulu Natal. This Darul-Ulum was based on the Darsi-Nizami course from Deoband, India. ↑ Mohamed, Yasien (2002). "Islamic Education in South Africa" (PDF). ISIM Newsletter. 9: 30. Retrieved 11 December 2013. Less indigenous to South Africa and more in keeping with the Deobandi spirit is the Azaadville seminary, near Johannesburg, which teaches all subjects in Urdu. 1 2 S. Abdallah Schleifer, ed. (2012). The Muslim 500: The World's 500 Most Influential Muslims. Amman: The Royal Islamic Strategic Studies Centre. p. 110. ↑ Ahmed, Shoayb (2006). Muslim Scholars of the 20th Century. Al-Kawthar Publications. pp. 35–37. He began teaching the basic subjects and was regularly promoted until he became the head-teacher and the Shaykh al-Hadith. He served the Darul Uloom until 1914 (1333)...The Shaykh was very active politically as well. 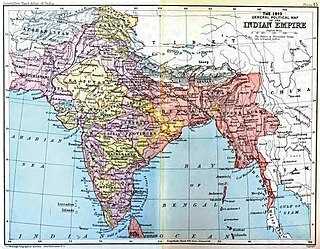 A movement known as Reshmi Roomal was formed in India to remove the British. He played a major role in advancing this movement. ↑ Abu Ghuddah, Abd al-Fattah (1997). تراجم ستة من فقهاء العالم الإِسلامي في القرن الرابع عشر وآشارهم الفقهية (in Arabic). Beirut: Dar al-Basha'ir al-Islamiyyah. p. 15. وكان أكبرُ كبارِها وشيخُ شيوخِها الشيخَ محمود حَسَن الدِّيْوْبَنْدي الملقَّبَ بشيخ العالَم، والمعروفَ بشيخ الهند، وكان في الحديث الشريفِ مُسنِدَ الوقتِ ورُحلةَ الأقطار الهندية. (Trans. And the greatest of its [Dar al-Ulum Deoband's] great ones, and the shaykh of its shaykhs was Shaykh Mahmud Hasan al-Deobandi, who is entitled (al-mulaqqab) Shaykh al-'Aalam, and popularly known (al-ma'ruf bi) as Shaykh al-Hind. In regards to the noble Hadith, he was the authority of his time (musnid al-waqt), whom students traveled from all parts of India [to study with]. ↑ Ahmed, Shoayb (2006). Muslim Scholars of the 20th Century. Al-Kawthar Publications. pp. 215–216. After Shaykh al-Hind's demise, he was unanimously acknowledged as his successor. ..He was the President of the Jamiat Al-Ulama-Hind for about twenty years...He taught Sahih Al-Bukhari for about thirty years. During his deanship, the strength of the students academically impred...About 4483 students graduated and obtained a continuous chain of transmission (sanad) in Hadith during his period. ↑ Metcalf, Barbara Daly (1992). Perfecting women : Maulana Ashraf ọAlī Thanawi's Bihishti zewar : a partial translation with commentary. Berkeley: University of California Press. pp. 3–4. ISBN 0-520-08093-9. The Bihishti Zewar was written by Maulana Ashraf 'Ali Thanawi (1864-1943), a leader of the Deobandi reform movement that crystallized in north India in the late nineteenth century...Maulana Thanawi was an extraordinary successful exponent of reform. ↑ Ahmed, Shoayb (2006). Muslim Scholars of the 20th Century. Al-Kawthar Publications. pp. 68–70. This great Hafiz of Hadith, excellent Hanafi jurist, legist, historian, linguist, poet, researcher and critic, Muhammad Anwar Shah Kashmiri...He went to the biggest Islamic University inIndia, the Darul Uloom al-Islamiyah in Deoband...He contributed greatly to the Hanafi Madhab...He wrote many books, approximately 40...Many renowned and erudite scholars praised him and acknowledged his brilliance...Many accomplished scholars benefited from his vast knowledge. ↑ Reetz, Dietrich (2004). "Keeping Busy on the Path of Allah: The Self-Organisation (Intizam) of the Tablighi Jama'at". Oriente Moderno. 84 (1): 295–305. In recent years, the Islamic missionary movement of the Tablighi Jama'at has attracted increasing attention, not only in South Asia, but around the globe...The Tablighi movement came into being in 1926 when Muhammad Ilyas (1885-1944) started preaching correct religious practices and observance of rituals...Starting with Ilyas' personal association with the Dar al-Ulum of Deoband, the movement has been supported by religious scholars, 'ulama', propagating the purist teachings of this seminary located in the north Indian state of Uttar Pradesh. ↑ Bashir, Aamir (2013). Shari'at and Tariqat: A Study of the Deobandi Understanding and Practice of Tasawwuf (PDF). Dar al-Sa'adah Publications. p. 117. Muhammad Zakariyya can be termed as the "Reviver of Deobandi tasawwuf." He is the last in the long line of prominent scholar Sufis who epitomized Deobandi characteristics. ↑ Ahmed, Shoayb (2006). Muslim Scholars of the 20th Century. Al-Kawthar Publications. pp. 167–170. He completed his formal education [from Deoband] in 1907 (1325) with specialization in Hadith. Thereafter he taught for some time at the Dar al-Uloom Deoband...He supported the resolution for the independence of Pakistan and assisted Muhammad Ali Jinnah...He was given the task of hoisting the flag of Pakistan...Due to his tremendous effort, the first constitution of Pakistan was based on the Quraan and Sunnah...Fath Al-Mulhim bi Sharh Sahih Muslim. Even though he passed away before being able to complete the book it was accepted and praised by many renowned scholars. These include Shaykh Muhammad Zahid al-Kawthari and Shaykh Anwar Shah Kashmiri. ↑ Usmani, Muhammad Taqi (December 2011). "Shaykh Mufti Muhammad Shafi': The Grand Mufti Of Pakistan". Deoband.org. Translated by Rahman, Zameelur. Retrieved 6 November 2013. The scholar of great learning, Shaykh Mufti Muhammad Shafi‘ (Allah Almighty have mercy on him), is counted amongst the leading ‘ulama of India and Pakistan...He completed his studies in the year 1325 H, and because he was from the advanced students in the period of his studies, the teachers of the Dar al-‘Ulum selected him to become a teacher there...the teachers appointed him as the head of the Fatwa Department at Dar al-‘Ulum...Ma‘arif al-Qur’an. This is a valuable exegesis of the Noble Qur’an which Shaykh [Muhammad Shafi‘] compiled in the Urdu language in 8 large volumes. ↑ "Mufti Taqi Usmani". Albalagh. Retrieved 6 November 2013. ↑ Rahman, Azizur-. (Translated by Muhammad Shameem), ed. Introducing Darul-'Uloom Karachi (PDF). Public Information Department: Darul Uloom Karachi. p. 21. ↑ S. Abdallah Schleifer, ed. (2012). The Muslim 500: The World's 500 Most Influential Muslims. Amman: The Royal Islamic Strategic Studies Centre. p. 69. Leader of the Pakistan chapter of the Tablighi Jamaat [...] Hajji Abd al-Wahhab is a prominent Pakistani scholar with a significant following in South Asia and the United Kingdom...Abd al-Wahhab's work[...] stems from the prominent Islamic institution Darul Uloom Deoband, in India, where the latter studied before establishing a following in Pakistan. ↑ S. Abdallah Schleifer, ed. (2012). The Muslim 500: The World's 500 Most Influential Muslims. Amman: The Royal Islamic Strategic Studies Centre. p. 114. ↑ Kamran, Mohammad (3 December 2003). "SC Shariat Bench to hear appeal on presidential remissions today". Daily Times. Pakistan. Archived from the original on 20 October 2012. Retrieved 17 August 2010. ↑ S. Abdallah Schleifer, ed. (2012). The Muslim 500: The World's 500 Most Influential Muslims. Amman: The Royal Islamic Strategic Studies Centre. p. 134. He has been very effective in influencing all types of the communities ranging from businessmen and landlords to ministers and sports celebrities.